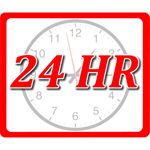 24 Hour Emergency Service — Fireservice Disaster Kleenup Inc.
Fireservice Disaster Kleenup is equipped to handle your Emergency Service needs 24 hours a day 7 days a week 365 days a year. In your time of need, we commit to arrive at your disaster within one hour of your call to us. Our customer’s phone calls will always be answered by a Fireservice employee at any time day or night. Fireservice will be there within the hour to start the process of mitigating, securing, and stabilizing your property to prevent additional damage. We have locations throughout Lee, Collier and Charlotte/Sarasota counties to ensure prompt service.